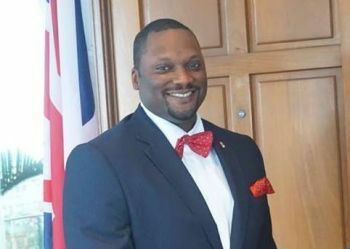 ROAD TOWN, Tortola, VI - As some 10,000 plus residents are getting ready to descend on Government House in Road Town on the main Island of Tortola in one of the most significant demonstrations to date come Thursday, May 24, 2018, it has been announced that Deputy Governor David D. Archer, Jr. is acting Governor. Mr Archer will hold the top public sector post until Saturday, May 26, 2018, after being appointed with effect from Thursday, May 17, 2018, in accordance with Section 37 of the Virgin Islands Constitution Order, 2007. Mr Archer is expected to receive a petition at the end of the public march at the governor’s resident according to march organisers. And Mr. Archer will receive us gracefully for he will, no doubt, become undeniably engulfed with the spirit of our Ancestors. End point! How convenient!! Saw this coming from the decision was made to march to Government House. Look how the white boy set him up! He is in position for such a time as this. The door keeper for this hour. How big is that chair? White boy set up what? All he has to do is follow the darn rules and keep his integrity in tact like the Hill man. Archer is one of we foremost. That should tell you the UK man running and leaving Archer to hold the fort. Barry said you don't talk all. So, where is Gov Jaspert? Why wouldn't he be there today? Hmmm. I admire this young man so much. He is following in the footsteps of the late Elton Georges, a man of integrity.